Dependency: 8TH Speed Limit Info. This option can’t be selected with: 3AP Windscreen With Grey Shade Band . Dependency: 6FV Online Entertainment M+ZMS/674. At least one of the following must be selected: this option, 674 Harmon Kardon Loudspeaker System . Dependency: 6FV Online Entertainment M+ZMS/674. 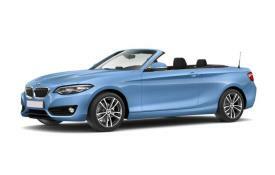 At least one of the following must be selected: this option, ZMS M Sport Plus Package . Dependency: ZCV Convertible Comfort Pk M+544/5DF. At least one of the following must be selected: this option, 544 Cruise Control With Braking Function. Dependency: 248 Steering Wheel Heating M+Z0A/544/5DF. At least one of the following must be selected: this option, 544 Cruise Control With Braking Function. Dependency: 5AS Driving Assistant M+Z0A/6WA/544/5DF. At least one of the following must be selected: this option, 544 Cruise Control With Braking Function. Dependency: ZCV Convertible Comfort Pk M+544/5DF. At least one of the following must be selected: this option, 5DF Adaptive Cruise Control+Stop Go Fntn. Dependency: 248 Steering Wheel Heating M+Z0A/544/5DF. At least one of the following must be selected: this option, 5DF Adaptive Cruise Control+Stop Go Fntn. Dependency: 5AS Driving Assistant M+Z0A/6WA/544/5DF. At least one of the following must be selected: this option, 5DF Adaptive Cruise Control+Stop Go Fntn. Dependency: 8TH Speed Limit Info. This option can’t be selected with: ZMS M Sport Plus Package .